Ensete ventricosum is a large banana tree cousin that can grow a massive base sometimes several feet wide. 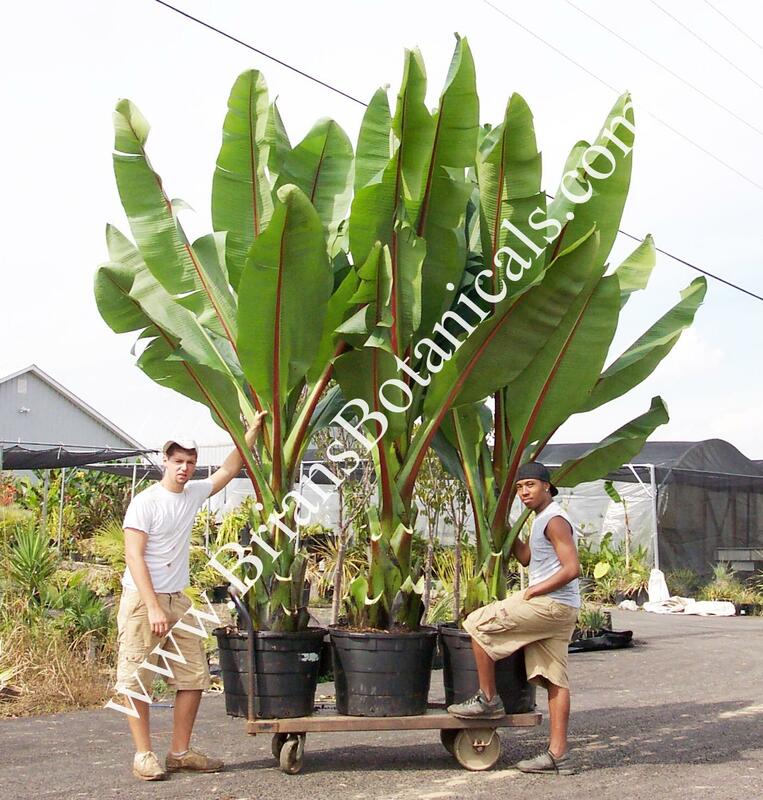 This plant grows large green banana leaves that point upright and outward. One of the more ornamental aspects of this plant is the large red mid-veins that run down the leaves on front and back. Ensete Ventricosum is a great center piece? for a tropical display or for a very large container. After 2 to 3 years, once the plant is mature, it can produce a very large dark red stark shape flower that is over 1 foot across. The plant is worth growing for the dramatic effect alone but the flower is something to behold. 7b-10 Mulch in cold climates. I have had mixed results over wintering in zone 6. Rotting in the center if plants were not covered for protection. Plants with out rot survived harsh zone 6 winters. It is a gamble but worth trying if you do not want to dig up.